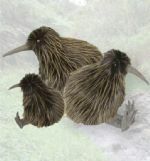 Kiwis are endemic to New Zealand and renown for several unique features. They have no wings or tail, they have nostrils at the end of their beak, and they lay the largest eggs of all birds in proportion to their body size. 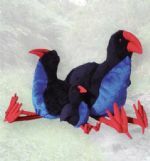 The Pukeko is essentially a bird of the lowland swamps, but has become widespread throughout New Zealand with the development of farming. It is commonly seen foraging on urban and rural grasslands. The Kakapo is the worlds rarest, heaviest and only flightless parrot. 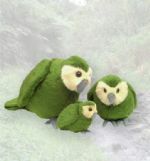 The Maori name Kakapo, means night parrot. Whilst it lives mainly on the ground Kakapo's can climb trees. 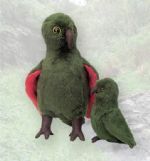 The Kea is the worlds only alpine parrot. Keas are renown for their inquisitive nature and comic antics. Their name derives from their call "Keaaa", delivered mainly in flight. 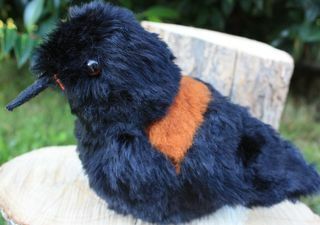 Small Kea is 15 cm. 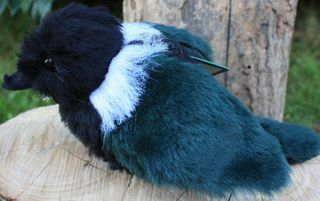 The New Zealand pigeon or kereru is endemic to New Zealand. Kererū play an important role in the spread of seeds of native forest plants. 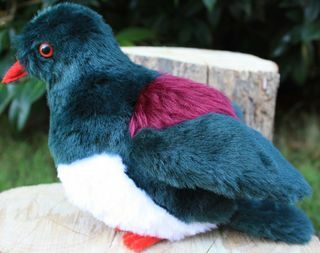 With birds like the huia and piopio being extinct, the New Zealand Pigeon is the only native bird large enough to eat the big fruit of some of the important native forest trees like tawa, karaka, taraire, miro and puriri. They are known to fly long distances enabling them to distribute seeds throughout the forest. After eating the fruits, the birds fly away and poo the seed somewhere else in the forest, along with some nutritious fertiliser. 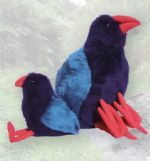 The Takahe is one of the worlds most endangered birds. 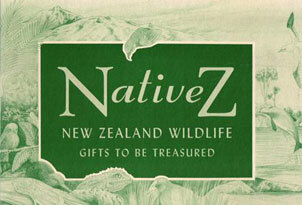 Formerly widespread throughout New Zealand it was thought to be extinct by 1900. In 1948 however, a small population was re-discovered in the Murchison Mountains in the South Island. Found only in New Zealand waters, the Hoiho, or Yellow-eyed Penguin is probably the worlds rarest penguin. A sedentary species, it seldom swims far from its breeding ground. Blue Penguins (or Korora), are the smallest of all penguins, with 5 of the subspecies endemic to New Zealand. 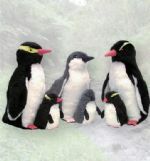 They are our most familiar penguin and are commonly seen around rocky coastlines. The Royal Albatross is one of the largest flying birds (wingspan over 3 meters) It spends most of its life gliding above the southern oceans. 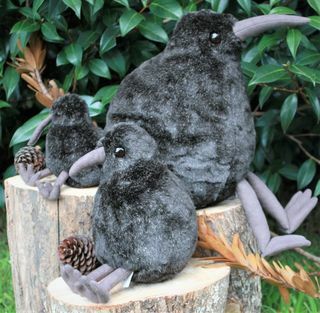 The Tui, found only in New Zealand, is reknown for its variable, melodious songs. Relatively common in native forests, this honeyeater also lives in bush reserves and suburban gardens. Nectar is it's most common food source, but Tui also feed on fruits and small insects. Their flight is rapid, noisy, swooping and undulating and these aerial acrobatics easily identify the Tui as does the tuft of white feathers at its throat. The saddleback, found only in New Zealand, is one of three wattlebird species that include the kokako and extinct huia. 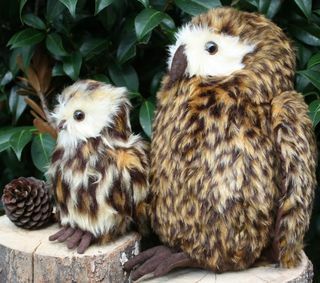 It inhabits forest and thick scrub, often nesting and roosting near the ground where it is vulnerable to predators. 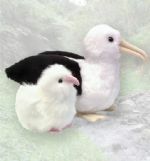 Once widespread through New Zealand, all populations are now confined to the islands.